The Club Med 2 cruise ship is filled with elegance and comfort!, This 5 masted sailing ship has 8 teak decks and all of the Cabins on board are outside cabins. This quaint sailing ship only allows for just under 400 passengers. See the world in style. 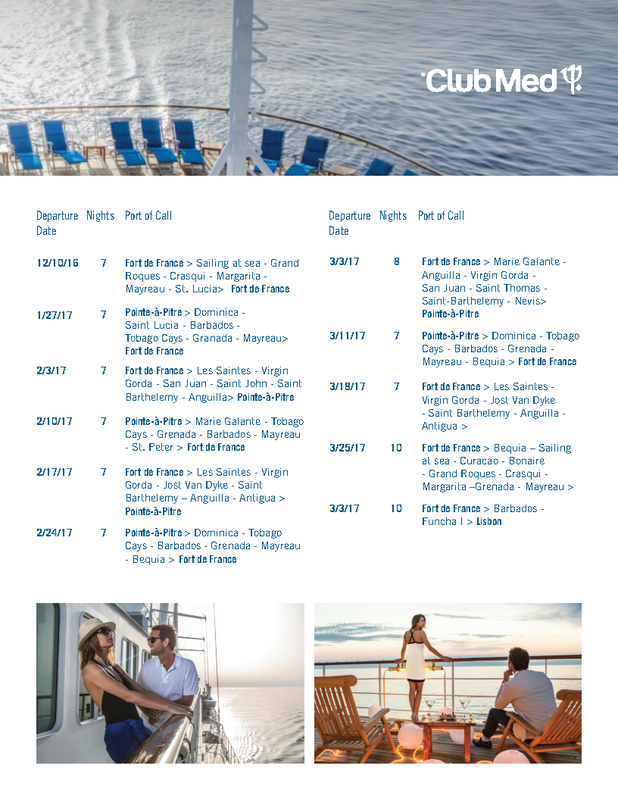 The Club Med 2 is not like any other cruising experience. 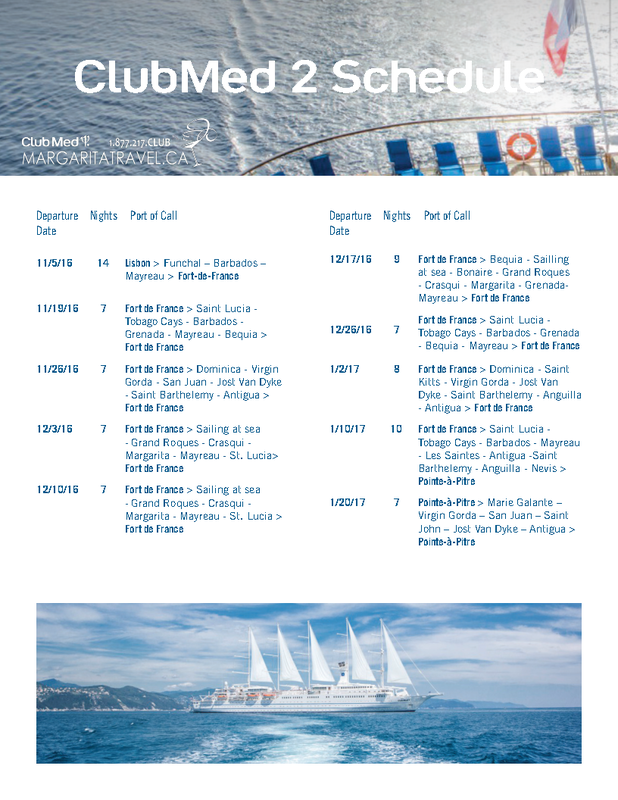 Discover the world on the Club Med 2 Sailing ship today! The Club Med 2 has many destinations. They travel to the Mediterranean from April to October, and the Caribbean from October thru to April. 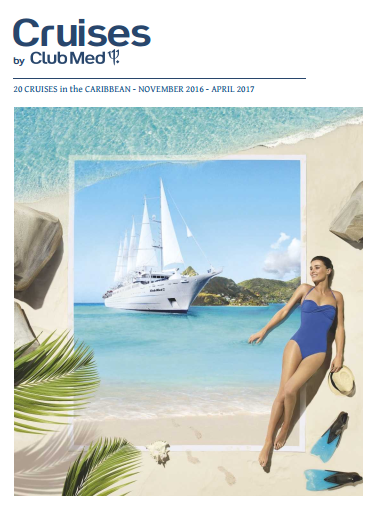 Discover her beauty, the Club Med 2 offers exciting new destinations each year! Enjoy the pampering of the new spa this Club Med Floating Resort has it all! It's just so easy when it's all included! Aboard the Club Med 2, all your drinks including champagne are included. Even your port charges are included. Even your tips are included! Don't pay for anything except your own personal items. Welcome aboard the Club Med 2 Sailing Ship! Board a majestic fully-rigged Club Med 2 sailing ship to discover the most magical and remote creeks of the Caribbean and the Mediterranean.